The 365 Cannabis platform will allow us to manage every sale and inventory transaction seamlessly. All of this translates to automation and simplicity which increases sales and cuts costs for the end consumer and the entire supply chain, said Bobek. 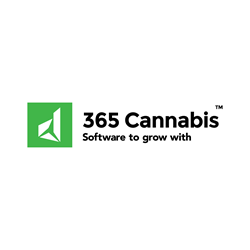 365 Cannabis ERP software, powered by Microsoft Dynamics, and Rogue Distribution now offer cannabis dispensaries previously using outdated systems (i.e. Excel or paper-based) the ability to experience a Microsoft quality Point-of-Sale system for their retail cannabis transactions to hundreds of Oregon dispensaries and their customers. A major benefit of 365 Cannabis ERP software is the “transparent view” it enables between Rogue Distribution and their dispensary customers. This means, when a dispensary is running low on inventory, Rogue Distribution will send an automatic alert to the dispensary to remind them to re-order, greatly minimizing out-of-stock issues. Cannabis customers will benefit from the detailed information that 365 Cannabis software provides, including rich data on farms and growers, enabling customers to learn just about everything they want to know about the cannabis they’re buying. Currently based in Oregon, Rogue Distribution is expanding and replicating this Point-of-Sale and ERP model in other states. Rogue Distribution’s supplier partners include Grown Rogue, Benson Elvis, Liontree Farms, Sterling Gold, Decibel Farms, Rebel Roots Farms, Rogue River Farms, Aardvark Extracts, GRAM, Hermetic Genetics, and Hood River Cannabis Co.
Those who are interested in learning more about 365 Cannabis and the ultimate Seed-to-Sale software may call 888-609-6766.